CLICK on virtual tour button for VIDEO! Gorgeous 1,409 sq ft luxury PENTHOUSE unit in the award-winning Chandler w/ 11 ft floor-to-ceiling windows facing the sunny south lakefront skyline from every room! Prime heated garage parking INCLUDED! Hardwood floors & custom shelving throughout, walk-in closet, stainless steel appliances w/ built-in wine cooler, pantry, in-unit washer/dryer & private balcony w/ views of DuSable Harbor & parks. Bathrooms feature marble countertops & tile; en-suite master bath w/ dual vanity, standup shower & separate soaking tub. BRAND NEW amenities space on 1st floor plus a rooftop indoor pool, 2 outdoor decks w/ hot tub, fitness center, media room & party room on the Chicago River. 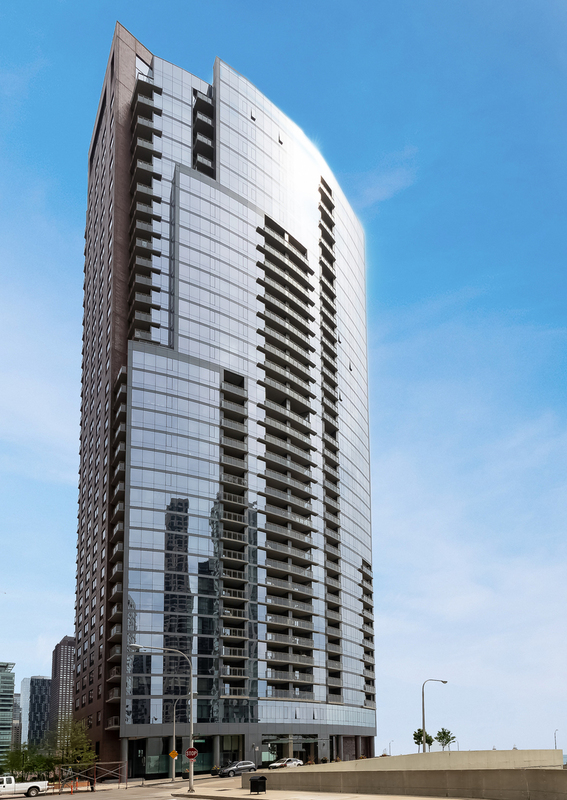 Highly desired Lakeshore East community and just a short walk to Navy Pier, Lake Michigan, Mariano's, dog parks, Millennium Park, Maggie Daley Park, Grant Park, Chicago Children's Museum, GEMS World Academy, shopping & restaurants on the Magnificent Mile & much more!